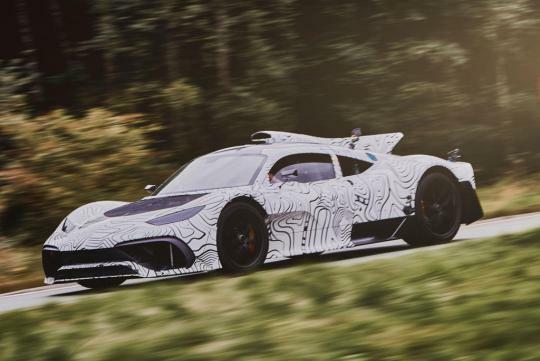 The Mercedes-AMG Project One has taken a step closer to reality. 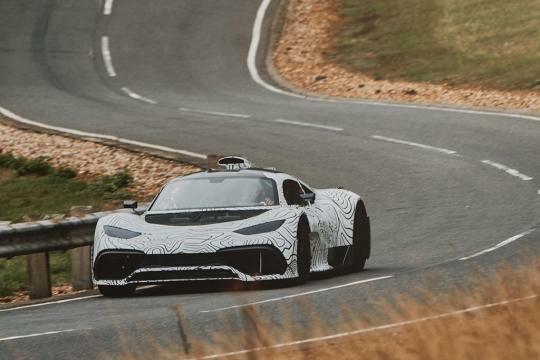 After hundreds of hours of dyno testing at its facility in Brixwoth, Merc has finally started building moving prototypes of its F1-engined hypercar. 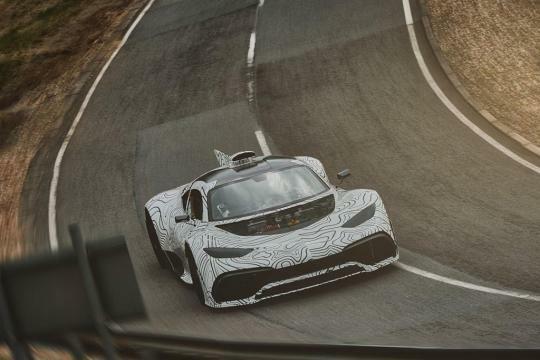 Said prototypes have been running around the top-secret Millbrook Proving Ground in the UK for a while now, but Mercedes says the noise of its 1.6-litre turbocharged F1 engine is making it hard to keep under wraps. 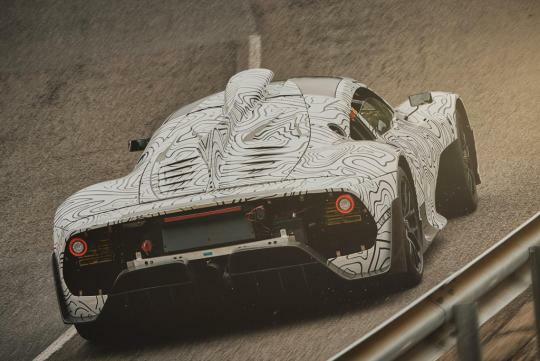 As you can see, the psychedelic camouflage of the prototype does little to disguise the Project One’s silhouette, which is more or less identical to the cars Mercedes has displayed at various motor shows. 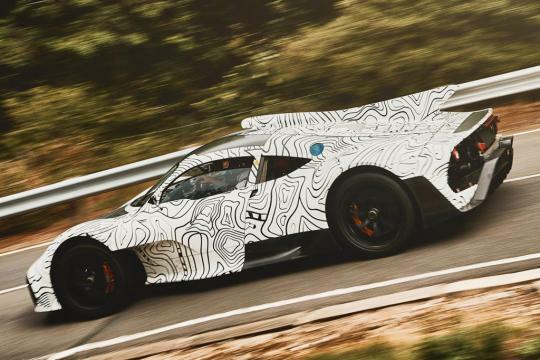 Testing on public roads will no doubt begin in the near future, giving us chance to hear just what such a highly-strung race engine sounds like in a road-legal car. LOUD, we’d wager.